Weed and brushwood are a common problem in many corners of the world. For many it is just one more day of cutting and picking but for others it is another day fighting relentlessly. If we talk about these two intruders, bushes and plants come to mind with the idea that they are there just because, adding a rustic and sometimes even picturesque touch to the land they adorn. But what happens when weed and brushwood appear on a crop? How do you fight with this problem when an outbreak of unwanted plants appears mid-season? Is it exaggerated to catalogue weed in a crop as a serious problem? More than how much it bothers; fighting with it is not always easy. Con la tela anti-hierba ya no será necesario que optes por el método de remoción manual. There are many ways of fighting the weed that invades a crop, being herbicides and manual removal the ones used the most; but these two alternatives are not always effective, sometimes they do not solve the problem completely or they solve it but bring other types of problems. Let’s take herbicides as an example; they are expensive and in order for them to be effective several doses of different chemicals are needed. 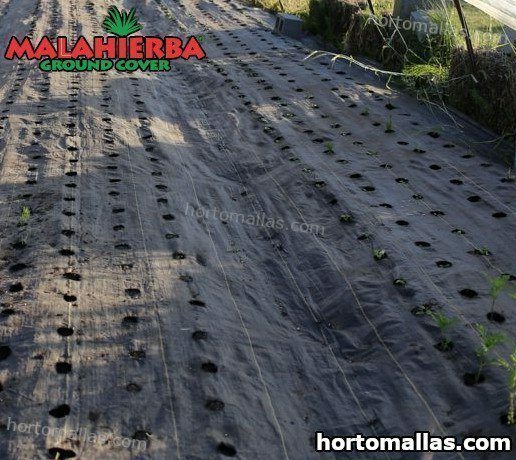 It’s true that it can end the weed problem but aside from having to invest a considerable amount of money, there’s a chance that the soil gets contaminated from the chemical agents, which can damage the plants waiting to be cultivated in some way or even leave the land sterile. On the other hand, the cutting and removing method takes a lot of time and almost always does not end up with the problem, mostly in larger extensions of land. Con la tela Ground cover no hay que tener preocupación, ya que el tejido no daña ni afecta a las plantas. Weed control is a huge necessity within the agricultural sector which needs to be a priority before starting a crop; and if it appears during the crops’ growth it should be treated carefully to not cause any damage to the crop. How does weed affect this type of land in reality? Weed or brushwood tend to spread fast causing these plants to move to others that also consume the nutrients of those same plants, which can be translated into a competition for the resources offered in that land. Also weeds bring other types of problems like: recurring insect plagues in the weed, fungus and diseases that can be transferred to the plants waiting to be cultivated. 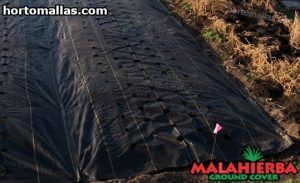 To avoid wasting money and time trying to control weed start using a weed barrier mesh or Groundcover, a product that has received a lot of positive reactions within the agricultural industry due to its accessibility in terms of price and ease of manipulation when it’s being installed or taken out of the land. What is a weed barrier mesh? 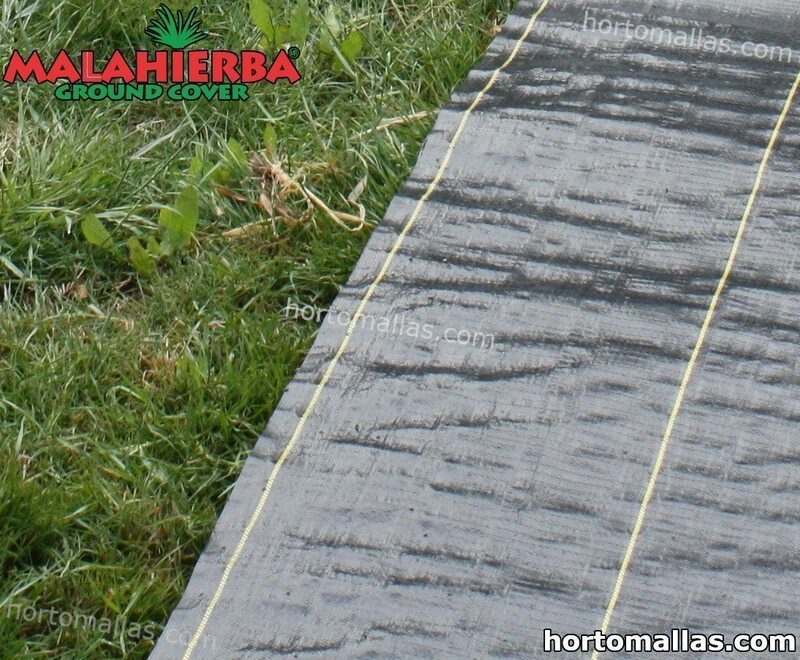 It is a polypropylene (non-woven) mesh that allows water and air to flow through it but avoids the passage of light, which helps stopping weed and brushwood from growing while allowing plants to grow normally. Its installation is simple; you only need to put it on the ground, previously cleaned from obstacles and debris and keep it fixated to it if it’s an open land, this with the intention of avoiding it to move because of strong winds. All of the above mentioned about how to install the weed barrier mesh is really all; for real. You don’t need complex machinery or a huge amount of manual labor to set it up. Esta malla también previene la aparición de los hongos en las plantas. 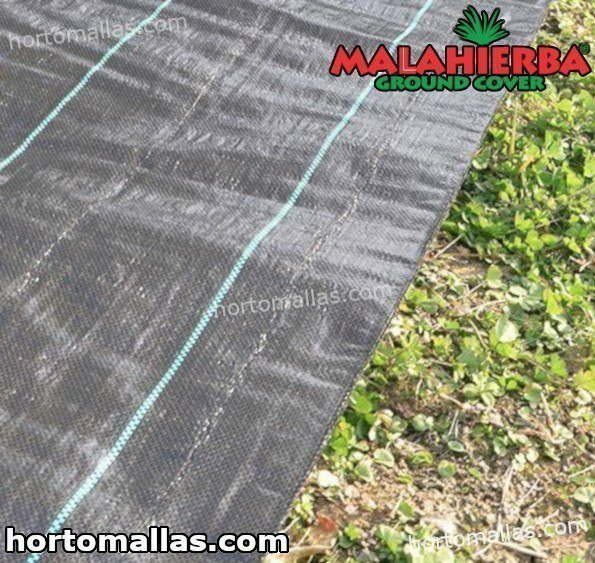 The use of this type of meshes like for example the ones from the MALAHIERBA brand, prevents the risk of cultivated plants acquiring some type of fungus or disease caused by the ground or weed, mostly because the contact of the leaves with these is nonexistent. It can be reused several times throughout the years thanks to its resistance and durability (MALAHIERBA weed barrier mesh can reach up to five years of useful life) which face the majority of rips caused by carelessness, debris brought by the wind and possible animal attacks. 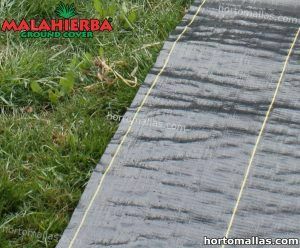 Its incredible resistance to UV rays and humidity won’t make you spend nights awake worrying about how these factors can degrade the weed barrier mesh material because its polypropylene application was thought for these and other factors that can reduce its durability. 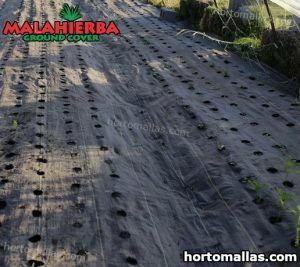 Another set of advantages can be appreciated when using a Groundcover mesh or a weed barrier mesh , and you will surely appreciate them all when you start noticing how your crop grows healthy and productive by keeping it away from herbicides that can affect it. You also won’t have to worry about additional manual labor anymore because there won’t be weed where the mesh is installed. Its two colors, black and white, allow you to determine the type of additional function you want the mesh to accomplish throughout the development of the crop. The white mesh is created with the intention of diverting the light towards the leaves of the plant so that it doesn’t condense the heat along the crop (useful for greenhouses); while the black mesh is completely opposite; it increases the heat along the crop very useful, for example, during times where the temperature drops considerably and puts the plants at risk. Con esta malla no será necesario el uso de pesticidas para tus plantas. 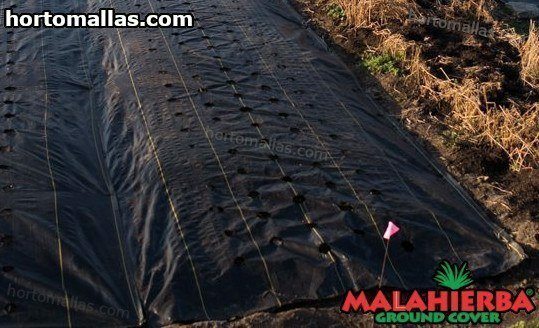 The use of the weed barrier mesh will bring benefits to your crop that you won’t be able to get in any other way or with dangerous chemicals and other expensive procedures. Use a weed barrier mesh and discover the difference.